Our car hire service in Becici (Montenegro) will help you to choose and book a car for rent in a couple of minutes without intermediaries. We offer the cheapest car rental in Becici, if you compare the price of network companies that work through tour operators, airports and hotels. Our prices start from 9€/day. 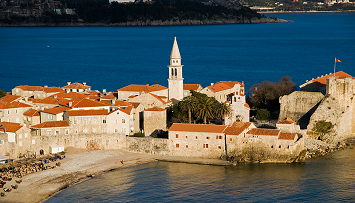 Book your car in advance to explore Montenegro in a comfortable car. You can even find a car without a security deposit (about 10% of the cars). 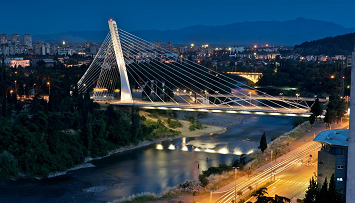 ✓ Licensed local companies in Montenegro. ✓ Simple process of choosing a car. Transparent payment without hidden fees! International companies will allow you to choose the class of a car you wish to rent. Renting based on the class of a car is a lottery. First, if you choose a mid-range car, you may get a car you don’t like. With our service, you can rent a specific car with 100% guarantee at a reasonable price. Get the car you would like. Second, there is a tremendous difference between a convertible and a stuffy sedan on the roads of Montenegro. In a convertible, you can take pictures of hillsides, and bridges, and catch air currents with your hands. In a sedan, you just go from point “A” to point “B”. The roads in Montenegro can and should be admired. Don’t miss this opportunity. A network company might not have the car you need. This is a serious issue. Book your car in advance without intermediaries using our service. Our car rental prices in Becici are up to 47% lower than the prices offered by network companies. 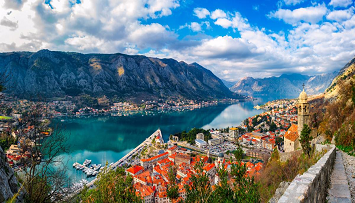 In general, the system of online car booking in Montenegro allows you to quickly choose a car suitable for travelling around the country in the comfort of your home. We help our clients to save a lot of time and effort. With our service, you can book a car in Becici, Petrovac, Tivat, Podgorica or any other city in Montenegro. 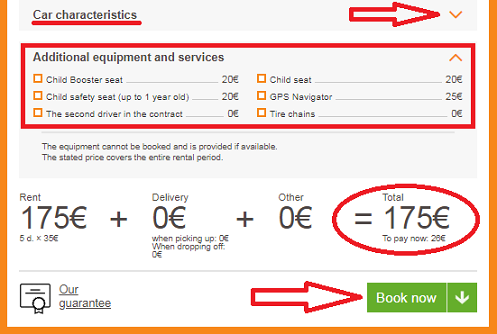 Also, you can rent a car without a security deposit or with a minimum deposit of €50. Choose the city where you want to pick up and return your car, fill in the rental date, and specify the gearbox type. The system will automatically select the cars available during the specified period. Pay special attention to the “car rating” option. Our experts thoroughly check 22 parameters of each car. The cars presented under this option meet the specified characteristics in full. Clients can book these cars without any risk. Use the advanced search to save you time and find the car that suits you. Choose a car for rent in Becici, take a look at the specifications, and check the options you need. Examine in detail the terms of the lease: The deposit, price of insurance and the green card. 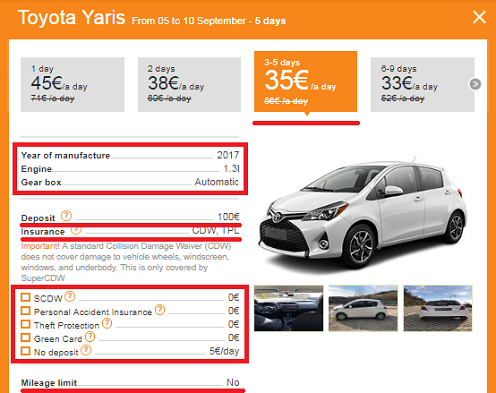 Each car description contains a detailed estimate of the exact and final price. In the “Additional equipment and services” section you can check such options as a child safety seat, the second driver in the contract, GPS, Wi-Fi, modem, etc.). Their price will also appear in the estimate. Click “book now”. Enter your data. Use data from your international passport. Make sure your email address is spelled correctly, because within a few minutes after the advanced payment, you will receive a voucher on for it the rental (it’s better to print it). Click “pay now” and deposit 15 – 20% of your booking price. The voucher is the proof of payment. Show it when you pick up your rental car. The car is booked, which means that you will see all of Montenegro and take beautiful pictures. An exciting journey is waiting for you – a journey around one of the countries where nature is the main attraction. Are you ready for winding roads? “Driving has never been this much fun,” say tourists who have travelled around Montenegro by car. Why do many tourists choose our website for car rental in Becici and Montenegro? The website www.rent-a-car-becici.com is an aggregator. Over 20 large national companies in Montenegro that specialize in car rental in Becici offer their services through our website. Thanks to the monitoring program, you can compare the car hire cost of different local companies in Becici before renting a car. This great experience and our serious approach allow us to carry out our work at the highest level. Cheapest car rental service in Becici. 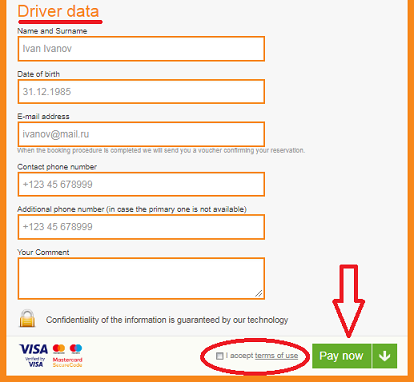 Convenient terms and conditions of car rental. A wide range of brands and models. A high level of safety and comfort. Professional advice. Just contact us. 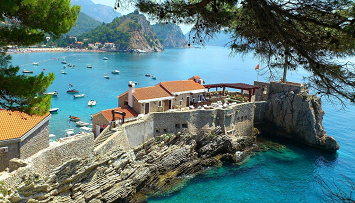 Where is it better to book a car in Montenegro? 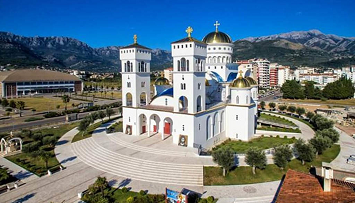 If you come to Montenegro by plane and want to visit Becici, we suggest you rent a car in Tivat airport. This way you can save money on transportation. 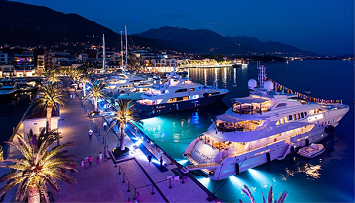 Just choose Tivat as the city of the car delivery in our booking form. In case you want to see central part of Montenegro, and after that to go to Becici, then hire a car at Podgorica airport. You are going to visit a country where lying on a beach is boring. Montenegro is a beautiful country, but it is difficult to move around it without a car. To visit deep canyons, ancient castles and monasteries, drive along mountain roads with a camera, you need a car. Having a car in Montenegro is the first step to an unforgettable adventure. Car rental in Montenegro is a popular service for tourists, so, on the one hand, finding a car is easy. There are many car rental companies. On the other hand, good cars are usually hard to get. Tourists rent them as soon as they are available, so it’s better to book a beautiful cost-effective car in advance. There are two types of car rental companies: Brand companies and local companies. Big brands companies usually try to hold the good cars and then rent them for a lot of money. Car rental in Montenegro is a popular and profitable business. Network companies cash in on tourists who did not book a car in advance. Rent your car in Becici without intermediaries, directly from the car owners, using our service. Local companies are interested in long-term leasing. They have a small car fleet. An entrepreneur may have 10 to 15 cars and make a living renting them out. He can’t compete with international companies, so he leases cars through online services without intermediaries and security deposits, through social media groups and friends. The Montenegrin coast is famous not for its beaches, sand and hotels, but for its roads. A journey through bridges and, tunnels along winding roads with breathtaking views will stick in your memory. There is no other place with such nature. Book your car in Becici in advance and get your camera ready. It will be a great adventure. There is no hurry in Montenegro. Traffic jams often occur because two friends stopped on the road to discuss the weather. No one is in a hurry here. Winding roads, tourist buses, heavy trucks and strict speed limits (up to 50 km/h in towns, up to 80 km/h on highways) do not encourage haste. So it is better to rent a fast, cost-effective car. There is no need for powerful cars here. Permissible alcohol blood level is 0 ppm. BEING POLITE, OPEN AND HONEST IS THE BEST BEHAVIOUR WHEN DEALING WITH THE POLICE. IF YOU ADMIT YOUR GUILT AND IF YOU ARE POLITE, THE POLICE MAY GIVE YOU A MINIMUM FINE OR A WARNING. You will waste at least a few hours if you have to pay a fine in Montenegro. If you get caught by the police, they will take your driver’s license away and give you a ticket. You must pay the ticket at a post office, and then return to the police office for your documents. Do you think it’s easy to find a post office in a foreign country? This is the moment when you realize that a GPS with a detailed map of Montenegro is a useful gadget. Many policemen are friendly to tourists and can help them to find a post office (they will show it on a map or accompany you there). But it’s better not to violate traffic rules. And be careful on the roads. They are unusually slippery, especially after rain and on winding roads. Observe the speed limit and do not be surprised that many local drivers rarely turn on blinkers. Be careful.